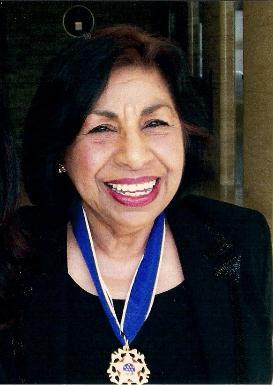 Sylvia Mendez is the daughter of Gonzalo Mendez, a Mexican immigrant and Felicitas Mendez, a Puerto Rican immigrant, who fought so that Sylvia could have an equal education through the landmark court case battle of Mendez v. Westminster, et al. In 1943, students of Mexican descent were required to enroll in separate schools from Caucasian children. When Sylvia was in third grade, she and her siblings were denied admission to the segregated, white school" near their Orange County home. The Mendez family fought back. Their 1947 victory desegregated public schools in California and became an example for broader decisions, such as the Brown v Board of education. Sylvia Mendez's sole intent is to convey the importance of obtaining an education by encouraging students to stay in school and continue their education (Source).